Leading branded meal and snack manufacturer, Symington’s, has unveiled a brand new wholesale focused pack format for its popular Naked Noodle brand, following feedback from customers. 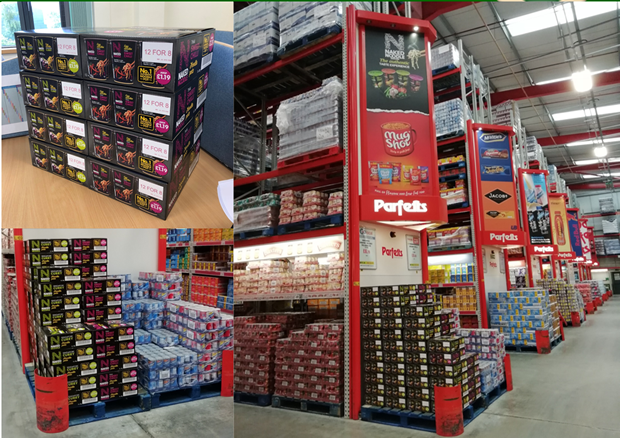 The packs feature a completely redesigned outer delivering enhanced supply chain resilience and allowing for easy merchandising while retaining stand out on shelf. Available now, the packs have launched with a strong retail offering of 12 for the price of eight. The Naked Noodle brand is worth nearly £15M1 and sustains its position as the number one authentic pot snack, commanding a 45% share of the market2. Health considerations are known to influence purchase decisions, and the Naked Noodle range enjoys impressive nutritional credentials which will drive incremental sales. High in protein and low in fat, the Naked brand is popular with the health-conscious consumer looking for a convenient and nutritious option at home or on the go. “We’ve invested heavily in Naked Noodle’s packaging to strengthen our wholesale offering with a new and improved format and a great retailer offer, ensuring value at every stage of the supply chain. The wholesale market is crucial for us, and we will continue to invest in our brands working in partnership with our wholesale customers to meet their needs. Symington’s operates in the ambient food sector across multiple grocers and convenience, both in the UK and internationally. Employing around 700 people, the company’s brands include Mug Shot, Naked Noodle, ilumi, Chicken Tonight and Ragu. Based in Leeds, it has five production sites, four in West Yorkshire and a wet meals facility in Consett, Durham. It was established in 1827 by William Symington initially supplying tea, coffee and groceries before expanding into other dried foods.